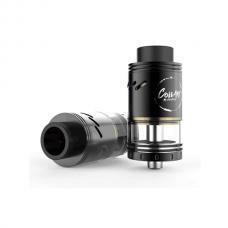 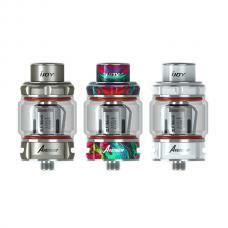 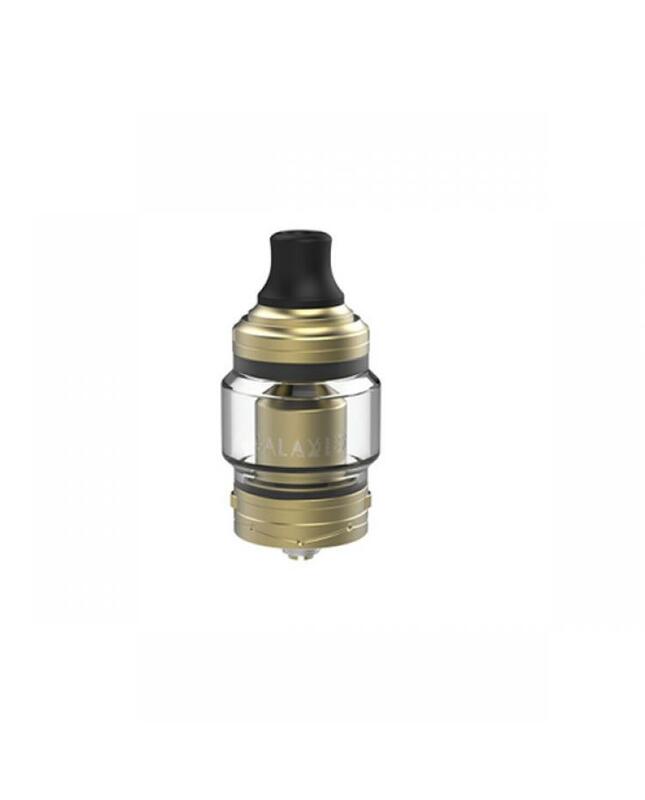 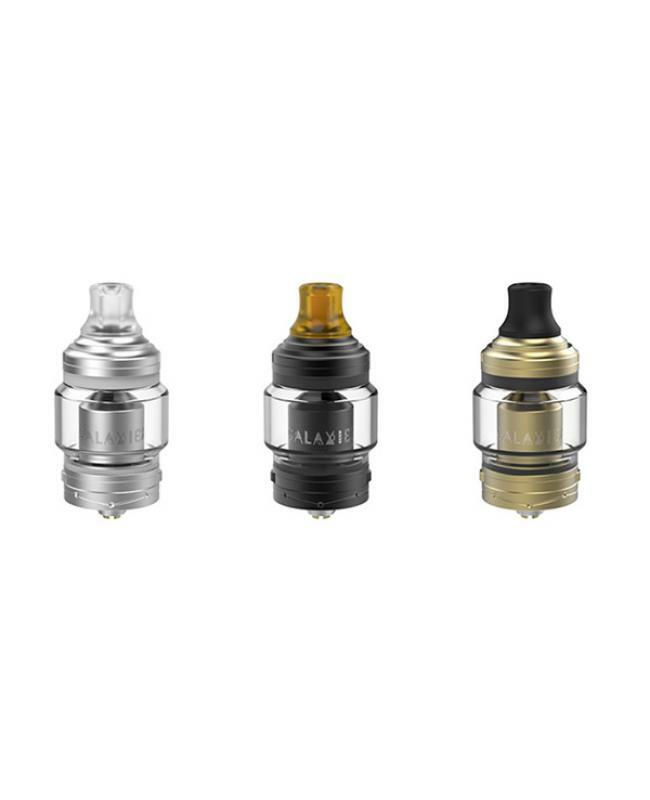 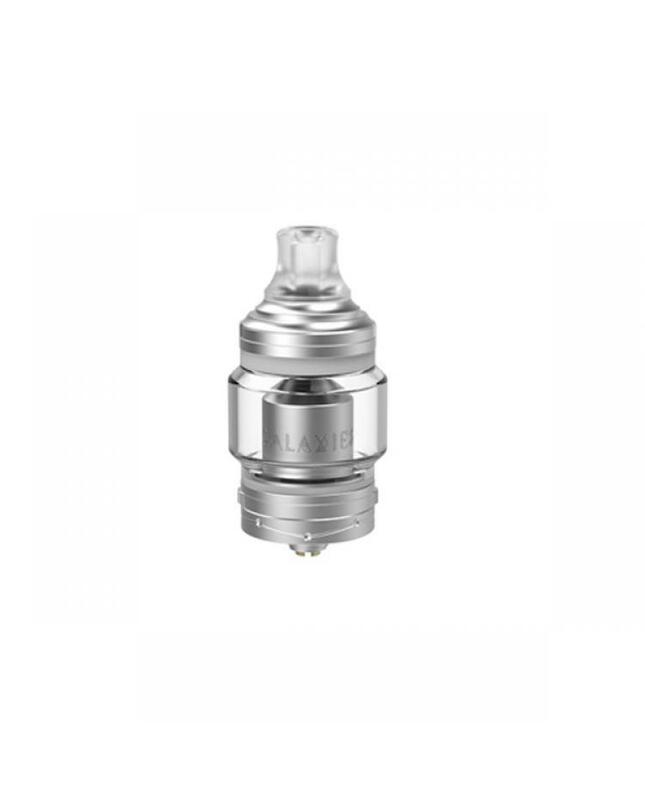 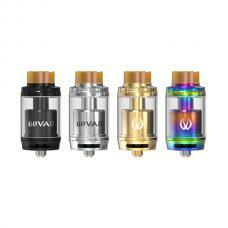 The vapefly galaxies MTL RTA tanks, made of high-quality stainless steel and resin materials, 3 colors available, the new vapefly RTA can hold 3ml e juice, the TPD version can hold 2ml e juice with removable silicon part. 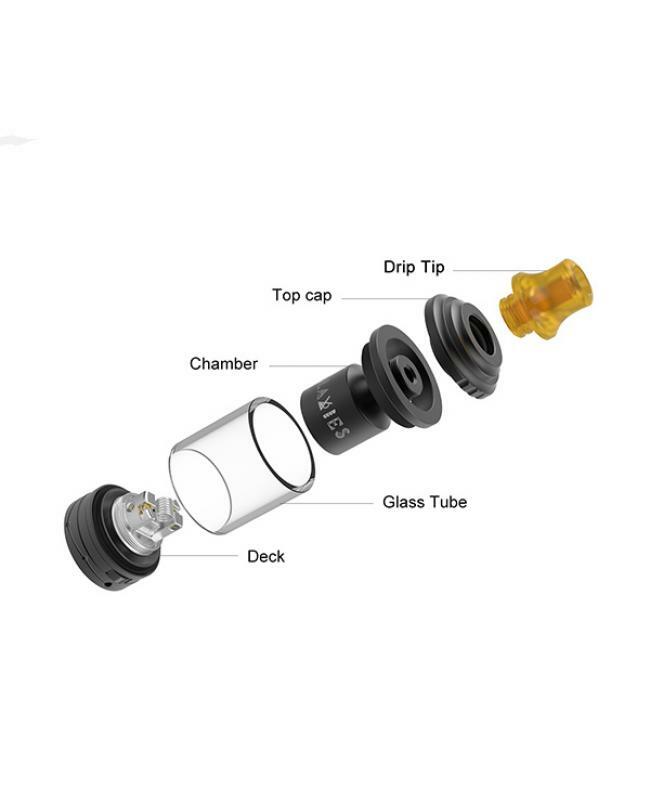 and packing comes with a 5ml bubble glass tank. 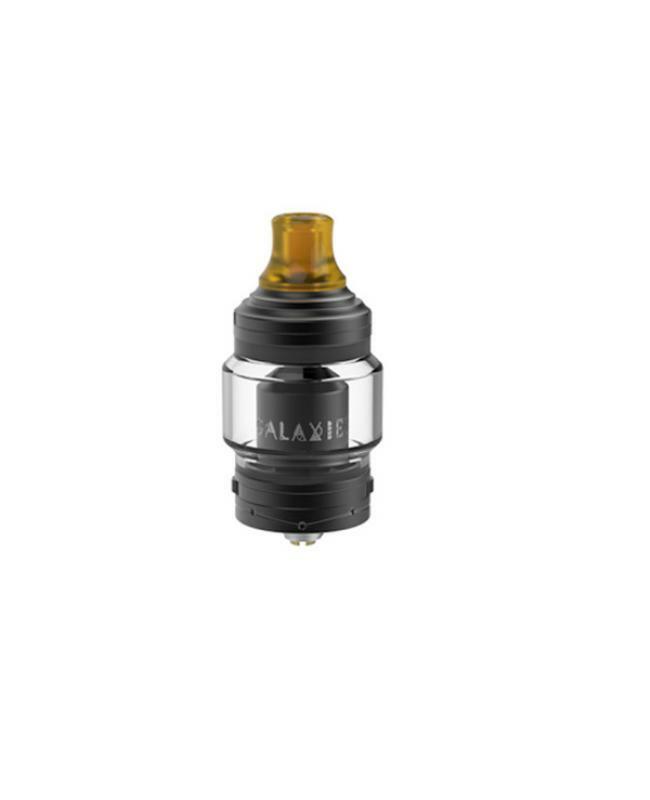 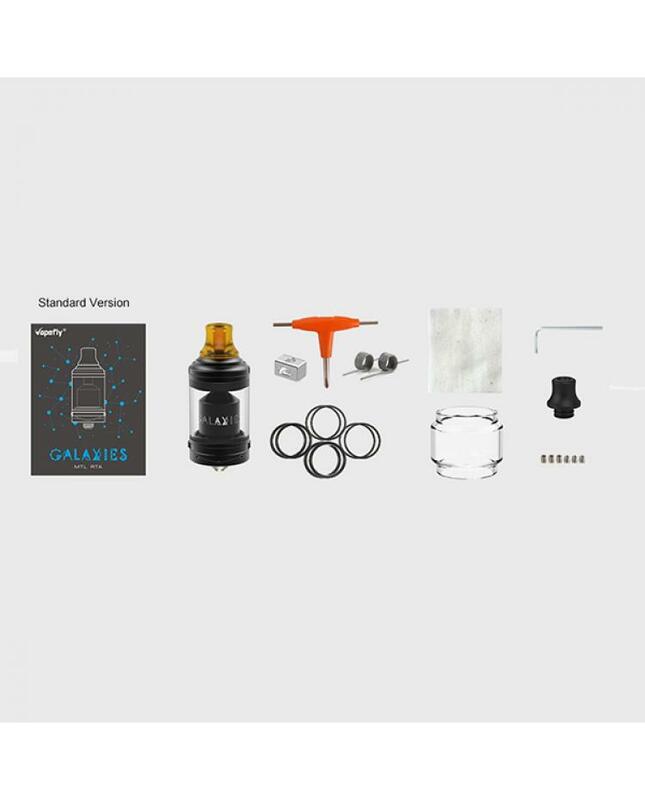 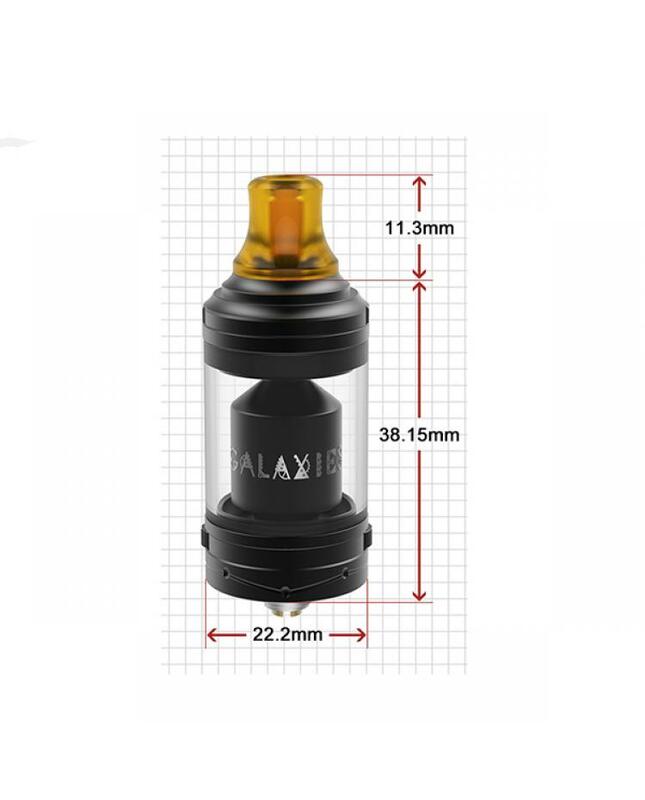 galaxies RTA with convenient top refill design, vapers can inject e juice easily, with innovative smooth gearwheel airflow control design, 8 levels airflow setting for the mouth to lung vaping. 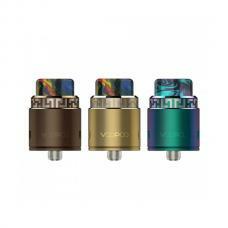 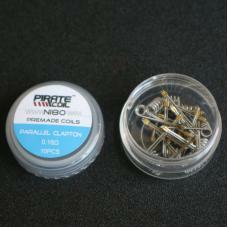 the large building deck only supports single coil building, change the inner cube set to adjust airflow. will deliver pure flavor and the large cloud of vapor.